World Nomads offers travel insurance for adventurous travellers that covers people from over 150 countries, with medical and evacuation cover, 24-hour emergency assistance and cover for a large range of adventure activities. You can buy, extend & claim online even after you’ve left home. The experienced team bring service, underwriting expertise and technology, making us the number one choice for many of the world’s leading travel brands such as Lonely Planet and National Geographic Adventure. But keeping travellers safe on the road is more than just about providing great travel insurance. They’ve created language guides for your iPhones, travel blogs so you can share your stories and travel insights to keep you informed, educated and safe when traveling. You can also get specialist independent travel safety advice on where you’re going, plus safety tips from around the world. Every year World Nomads offer travel scholarships to provide unique learning experiences for traveller looking to further their experience in travel photography, travel film and writing. And they believe you too can help change the world by giving a little back when you travel. 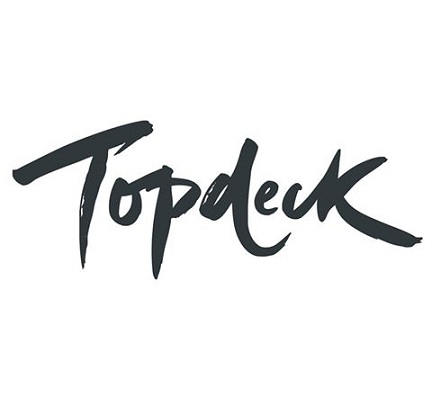 Topdeck Travel is a tour operator providing trips for people aged 18 to 39 throughout Europe, North America, Africa, Egypt and the Middle East, Australia, New Zealand, and Asia. Topdeck offers 330 different tours in 65 countries. Each Topdeck trip is designed with you in mind! Our 40 years of experience and thousands of satisfied travellers will help us to deliver your holiday of a lifetime. Topdeck staff are as enthusiastic about travel as you are! They know their stuff, they are highly motivated and they’ll make sure you have the best trip possible. You enjoy the fun parts of travelling whilst we take care of the boring bits. No overbooked trains, unavailable hostels or language problems… make life easy for yourself! The Viator.com team of travel insiders is obsessed with finding the best things to do everywhere they travel. From Paris to Phuket to Perth, from traditional tours to once-in-a-lifetime experiences, Viator.com has something for every kind of traveler and they’re are proud to say that after 17 experience-packed years, Viator.com are the world leader! From offices around the globe, the team of travel insiders handpicks the best local tour and activity providers. All tours and activities are pre-vetted to make sure you always have an exceptional experience. If you’re not sure, check out the real time reviews provided by Viator customers. Over 3 million people have traveled with Viator and they have opinions you’ll want to hear. With Viator you can get the royal treatment including behind-the-scenes access, private viewings, VIP tours – with no lines and no crowds! Not everyone can get you behind those velvet ropes, but we can. So be a VIP. Try not to gloat. Getting a great deal makes a fantastic trip even better. So naturally, Viator offer great deals. In fact, many of their deals can’t be found anywhere else. And they’ll save you the time of trying with a low price guarantee. Now your wallet can relax like it’s on vacation, too. The world is an amazing place – full of possibilities. And at Expedia, we believe that if you can dream it, you should do it. Now. 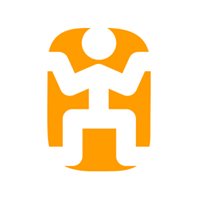 In 1996, a small division within Microsoft launched online travel booking site Expedia.com®, giving consumers a revolutionary new way to search and travel the book. Since that time, Expedia, Inc. has become the world’s leading online travel company, with a portfolio that includes about a dozen of the world’s most remarkable travel brands. As the world’s largest online travel company, we bring everything out there, together here, in one place. All the advice and expert advice and updates on the newest travel industry of interest to you. City Sightseeing was created in 1999 in Seville, Spain and this tour is still the back bone of our worldwide operations. Starting with just four tours in 2000 and initially as a joint venture between UK based Ensign Bus and newly established City Sightseeing Spain, City Sightseeing is now a well-known feature in almost 100 locations worldwide which span six of the seven continents. Our bright, cheerful and fun-filled red open top buses are sought after by tourists and visitors to some of the world’s top destinations. It was in 1998 that the idea of the City Sightseeing brand was first conceived . After extensive market research in Seville, it was established that tourists and visitors would welcome a recognised brand in other destinations – a brand they could trust and be sure of the same quality and standards in each location. It was from this point that the synonymous red and yellow branding on double-deck open top buses was created and started to appear around the globe. The City Sightseeing franchise concept was launched at the 1999 World Travel Market in London, England. The rapid growth of City Sightseeing is due to the concept being developed along the franchise model with our tours being a combination of local bus operators introducing the brand, the re-branding of existing open top tours or new business start-ups. Having this model, the ‘local’ operators have the flexibility to introduce the right infrastructure to suit their locality whilst having the full support of City Sightseeing Worldwide. City Sightseeing Worldwide oversee in the development of each tour and continue to monitor each location and assess quality standards and the whole visitor experience. We continually develop unique partnerships with suppliers – such as bus manufactures, ticketing and commentary systems – which is then offered to the ‘local’ operators. All of our tours are sold on this global booking website and by a large number of well-known worldwide agents, some of which are leaders in their field – a percentage of the ticket sales revenue is then reinvested back into the global marketing of the business and for promotional purposes to help us develop the brand.